is the founder and director of The Public Sphere, and the co-founder and co-director of The Bildung Institute. She is currently pursuing a PhD in the German department at the University of Cambridge on enlightenment salon culture. In a global culture that appears increasingly obsessed with radical individualism, narcissistic presentations of self, and incendiary political rhetoric, it is hard to imagine that society once cared about the beauty of the soul. 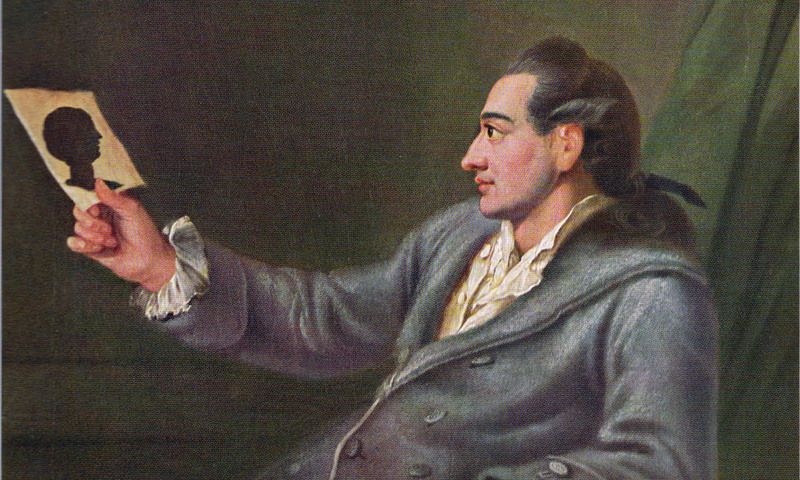 But, in the late 18th and early 19th centuries in Germany and across Europe, the pursuit of a ‘beautiful soul’ became a cornerstone of philosophical thought and popular discourse, advanced by some of the most important intellectuals of the time, including Johann Wolfgang von Goethe, Friedrich Schiller and Wilhelm von Humboldt. To these thinkers, the pursuit of inner perfectibility responded to the horrors of the French Revolution’s irrational mass action culminating in The Terror of the 1790s. Nascent notions of democracy, they believed, could be developed only if each individual achieved liberation from what Immanuel Kant described as the ‘self-incurred tutelage’ of intellectual immaturity by developing cognitive and emotional faculties through aesthetic experiences. At the core of the beautiful soul is the idea that the individual possesses an innate cognitive potential. Subject to the right environmental and educational conditions, this latent potential can be developed to reach a more perfect state of intellect, morality, character and conduct. The beautiful soul is an aesthetic concept focused on developing human capacities and advancing knowledge and culture. It entails the pursuit of personal cultivation to create a convergence of the individual aesthetic impulse with a collective ethical ideal. The beautiful soul is a virtuous soul, one that possesses a sense of justice, pursues wisdom, and practises benevolence through an aestheticised proclivity for the ‘good’. Sculpting the soul and creating what Goethe referred to as ‘a more beautiful humanity’ is achieved through the internalisation of the Platonic triad of beauty, truth and goodness. Beauty is conceived as the integration of intellectual and aesthetic faculties in the encounter with art and nature. Truth is the result of the logical exercise of rational faculties and the elevating sense of curiosity derived from experiences in the world. Goodness is found in the human capacity to feel compassion for others and thereby contribute to the betterment of society. The concept affirms that, in its universality, beauty offers a means of engaging with the world, providing a common basis upon which positive social relationships can be developed, acting as a lexicon for communicative exchange. Since it is a natural human inclination to share sensory experiences, beauty provides an opportunity to bond individuals in a moment of ultimate meaning, conveying ineffable feelings that cut to the core of existence. By opening one’s perceptual horizons, a person is elevated beyond ego and self-absorption into a realm of universal concern and contemplation. Beauty achieves the good by strengthening faculties of empathy that induce deeper compassion for others and attentiveness to the wellbeing of the social collective. Thus, the marriage of the beautiful, the true and the good is for the beautiful soul more than the metaphysical meditations of antiquity but the very basis of a more just and equitable society. Although the philosophy was never realised in the way that its theorists envisioned, the beautiful soul is far more than a beautiful idea. In turning towards aesthetics, the philosophers of the German Aufklärung (Enlightenment) did not naively evade political realities. Instead, they offered a holistic theory that recognised the long-term horizon for the flourishing of reason and human understanding. In doing so, they developed a poetic conception of politics that took inspiration from ancient Greek notions of an aesthetic state. In working towards her own self-improvement and fearlessly venturing into society, the beautiful soul was a revolutionary figure, at the vanguard of Enlightenment progress. Self-cultivation was not an idle, vainglorious pursuit of the wealthy, but rather a radical reformulation of what it meant to be human and how to harmoniously exist in society. The beautiful soul anticipated the problems of instrumental reason, overcoming the dangers of mere utility, disenchantment and social isolation by offering an aesthetic world view that facilitated positive human interactions and a multidimensional understanding of human experience. She epitomised Enlightenment values of equality, fraternity and rationality, serving as the model of a citizen who lived up to the responsibilities associated with democracy. The contemporary turn towards nihilism that lionises the individual at the expense of the collective has made the idea of cultivating a more beautiful soul appear hopelessly idealistic and disconnected from ‘hard realities’. In a realist’s world, we seek utilitarian ends under the guise of pragmatism, turning away from the illusiveness of an immaterial and ultimately unattainable ideal. The mystery and poetry of human nature has been stripped from our daily experience at the expense of our imaginations and our will to envision a more beautiful world. Yet, the social and environmental ills induced by our unfettered economy of instrumentality are proving anything but pragmatic for the long-term sustainability and wellbeing of our species. If we still harbour hope in the human propensity for goodness, then we ought to contemplate anew the poetic, revolutionary figure of the beautiful soul that might once again provide a vision for deepening our intellectual, moral and emotional faculties in the service of a more just and progressive future for us all.